Free dog training videos can launch you and your dog into the obedience atmosphere! 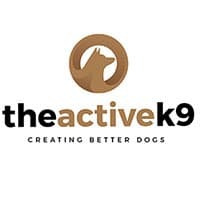 At The Active K9, we provide free dog training videos to help dog owners to learn how to do the training themselves. When you watch our free dog training videos (how-to videos, training updates, and dog training tips), you will see how to effectively train your dog to do basic obedience commands such as down, place, and sit. You could fully off-leash train your dog based on our free dog training videos with enough time! If you don’t have time to do the actual training yourself, our free dog training videos will give you a great basis for continuing the work with your dog once he comes back from training. 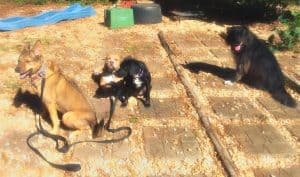 The dog training videos will give you a headstart on the timing you will need, as well as a good idea about the leash handling skills that are involved. Dog training happens every day, every time you interact with your dog, so the more knowledge an skills you have will help you build that relationship with your dog. Even as an experienced trainer, I watch dog training videos from other trainers quite often to pick up new techniques, learn new things, and help improve my training skills. Free Dog Training Videos Linked Below! TAK9 has many free dog training videos on our Youtube channel, as well as our Facebook page. Also, our photo and videos page has multiple dog training videos. If there’s something you would like to learn more about or teach your dog, but don’t see a video about it, let us know, and we will try to make a dog training video about your topic!